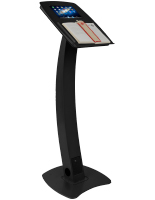 This floor tablet book pulpit is ideal for presentations, sermons, readings, or speeches that combine the written word with multimedia materials. 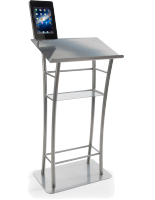 Each 50" tall stand features a locking iPad enclosure sized to display Apple generation 2, 3, and 4 tablets as well as the Air 1 and 2. 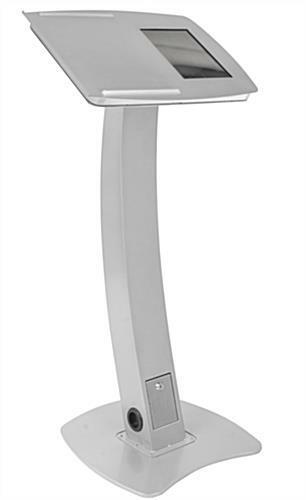 The sturdy floor standing tablet book pulpit is made from durable aluminum and steel, with a silver finish that will complement any environment. 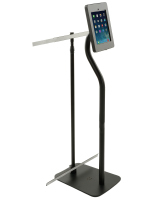 The dual display stand with book stops can be used in either portrait or landscape orientation as needed. 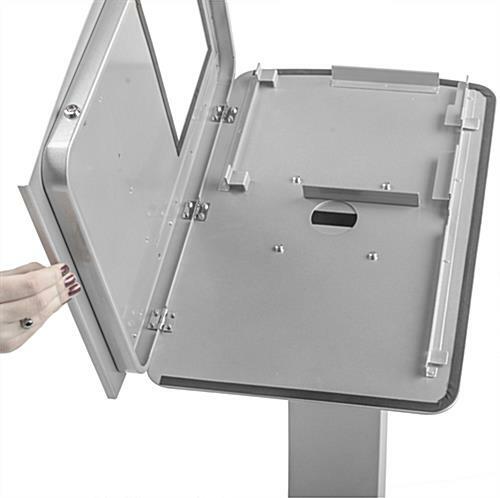 This stylish tablet book pulpit with locking enclosure includes multiple book stops and also blocks user access to iPad "Home" functions. 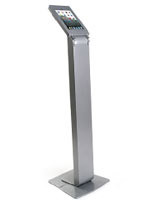 This freestanding fixture is a perfect speaking accessory for corporate offices, schools, churches, ministries, conferences, and also makes an elegant hostess station. 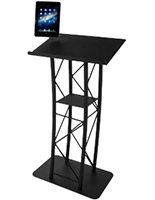 The iPad and tablet book pulpit is constructed with a 70° angled top that allows presenters to easily utilize both printed materials and multimedia or digital files. 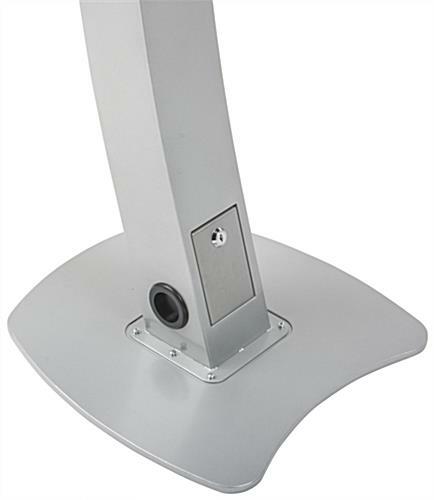 The durable steel and aluminum column features integrated cable management as well as an internal power cord for a clean look unencumbered by cords. 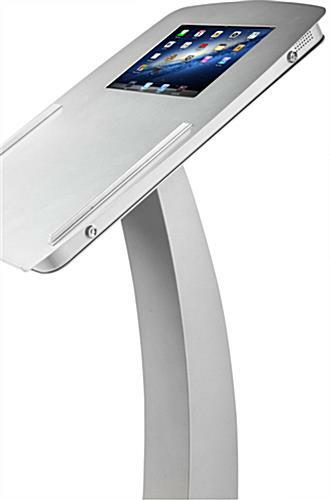 The versatile iPad tablet book pulpit's neutral silver finish will complement any environment.